How is it nearly Christmas again?!?!? No seriously, the last time I looked it was March! My other half is obsessed with Beauty Advent Calendars. Not only do I have to listen to her talk about the female calendars (I deserve a medal), but I have to hold them all while she takes endless photographs (some of them are huge - see here) and now every other day she's banging on about another one she has found for us blokes. This calendar is described as being the alternative advent calendar comes crammed with enough beard oil to see him right through to well after Christmas! Well if you have seen me lately I have a bit of a beard, not as long as it was, but it is back. Behind each of these 24 doors is a 2ml glass bottle of beard oil in different scents and I am very much looking forward to opening each and every one of them come December the 1st....It retails for around £30 and can be found here. 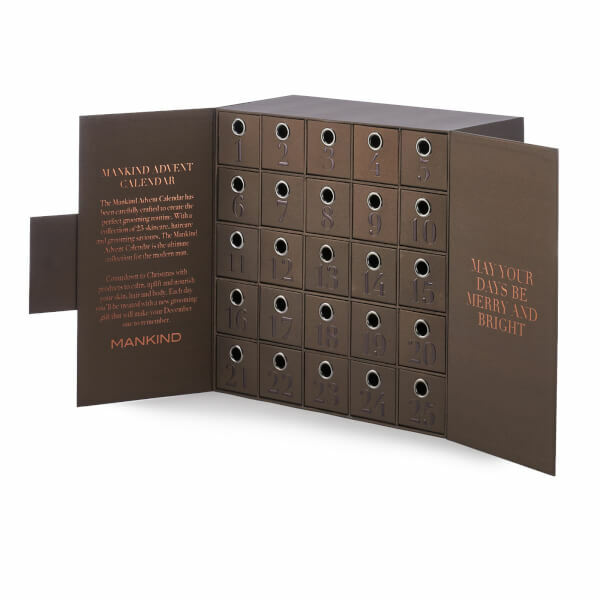 This Calendar is described as being packed with 25 full-size products, carefully curated by the team at Mankind, it contains everything from skincare and haircare, to body care, shaving and even dental care. Worth over £650 this calendar is currently on offer for £250 and admittedly it has really caught my attention! You can find it right HERE. This Calendar is described as being one which contains products for relaxing, cleansing and fatigue-fighting. 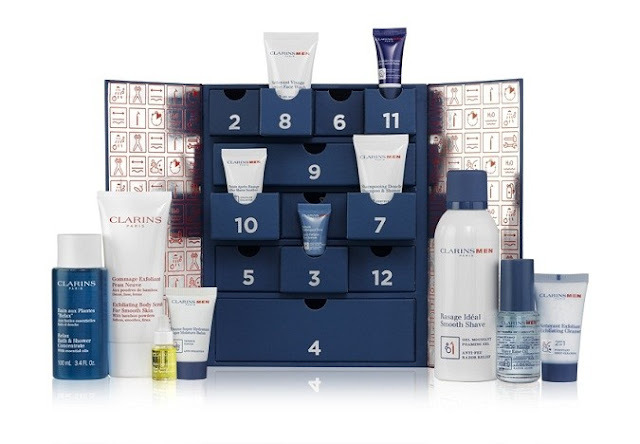 The Clarins Mens’ Calendar is a 12-day calendar and it mirrors the one for women with the drawer effect. It goes on sale on 1st October (here) and will retail at £60. This Grooming Advent Calendar contains 25 windows and 24 products with the final product being a discount code, which I am rather intrigued about. 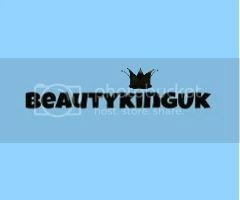 Products you will see inside come from brands that are sold via ASOS so Elemis, Carmex, Nip +Fab, Mr by Jamie Stevens, Rituals and many more. It is onsale right now. Personally speaking, just having the products from the MR range by Jamie Stevens in it means that it's on the right track - throw in the Nip + Fab, Uppercut, ManCave and Scaramouche & Fandango products and you have something I can wholeheartedly recommend. 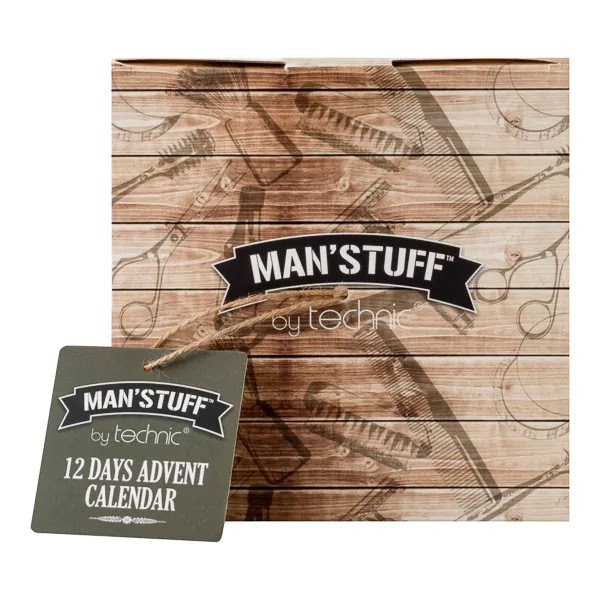 Technic - Man Stuff 12 Days Advent - The Man'Stuff Advent Calendar will keep the guy in your life stocked up on essential mini toiletries. Contains: Shower Gel, Hair & Body Wash, Face Wash, Bath Fizzer, Soap, Bath Salt, Lipbalm, Hair Comb, Scissors, Tweezers, Nail Clippers, Toothbrush. It is available now for £20 via Superdrug HERE. I'm mildly optimistic that there will be more released or at at least announced as we get closer to Christmas and as and when there are, I will update this post. 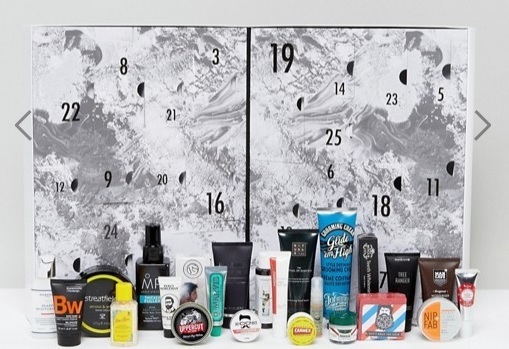 As it stands, my personal pick would have to be the ASOS Grooming Advent Calendar - I've tried pretty much everything in it and there aren't any lemons among the products on offer. Now, how long until you first hear "Fairytale of New York" on the radio? A week or two do you reckon? For a few months now I've been sampling on and off with products from Mancave, a British start-up company that launched in 2012. I'd seen the products on Instagram for a while and was more than happy to give a couple of their products a road test. Through the letterbox popped three products, one of which I managed to leave in a hotel room after having to vacate at speed - no it wasn't a fire alarm, I had the worst hangover of 2017 and had approximately ten minutes to shower, dress and get out! Typical Stephen behaviour all truth be told. Anyway, enough of my mystery drinking tours of obscure Welsh hotels and back onto the grooming products. Today I'll be looking at ManCave's Protective Moisturiser and their Lemon & Oak Shower Gel. ManCave have a clear mission statement, to bring a fresh and inspiring regime of grooming essentials - developed and formulated as a natural defence for man! First up is the Protective Moisturiser - it uses UVA Filters to help protect from UV rays whilst locking in hydration and helping to counteract signs of premature ageing with Shea Butter and Radicare. Personally I found this product to be an absolute face saver after a recent foray into the Suffolk sunshine. After wandering in the early morning sun down the coast to say I was burnt was an understatement - within four hours my face was dry and towards the evening I could see exceptionally dry patches appearing just under my eyes and on my forehead. This was not a good look. When I realised I hadn't moisturised that evening I applied just a pea sized amount and within two hours the dry patches had gone - my face looked and felt hydrated. After using for a week each morning and night my skin (above the beard) was much smoother and genuinely looked more supple. In terms of applying it couldn't be easier, it lacks the greasiness that comes with some male moisturisers which means it's a case of slap on and watch it be absorbed into the skin at a fair old rate of knots. For the lazy man out there (like me) this is a no fuss, good for results moisturiser. When you throw into the mix the fact that this costs just £8.99 you have cracking value for money. Lemon and Oak Shower Gel - 200ml £3.99 - This is actually the second shower gel (the first was Cedarwood) in the ManCave range - and was developed to uplift, invigorate and stimulate (sounds like my missus). So, what's it like? Bloody brilliant! For £3.99 you really cannot argue about the value for money if it does what a shower gel should - wash of the grime, leave you smelling lovely and good on the skin. Personally I really do have an affection for the fragrance of this shower gel - the lemon has that zesty citrus punch to the face that I need first thing in the morning but it also oozes a rather subtle masculinity with the oak giving it a touch of warmth after the citrus blast. Yes please, more of the same. The shower gel lathers up brilliantly with only a small amount, around the size of a fifty pence piece needed to generate a mini-foam party in the shower. I've been using this on and off for a few months now, it sits in my travel bag when I go away on business and it's great - not only do I feel confident that I'm clean, I actually feel clean and the fragrance that's left on my skin doesn't alter my aftershaves. What we have here is not a failure to communicate as Guns N Roses once said, what we actually have is a brand with a series of exceptional quality products that are priced very reasonably. Trust me, you can fork out up to ten times more for products like this that will come nowhere near to delivering the same results. For me, it's a massive yes to ManCave. If may be September but the August Secret Scent Box deserves an airing so today I'll be looking at the three aftershaves that dropped through my letterbox just under two weeks ago. The concept of the Secret Scent Box is quite simple, you sign up for a modest fee and every month without fail a small box containing three 9ml testers of aftershave are delivered direct to your door. You can see what I received previously in April of this year here, or September 2016 here. Even better, they also offer the service to females with a Secret Scent Box for Her, so if the concept of this male box floats your boat then why not take the time to sign up? From the notes I would expect this to have a citrus head with floral heart and an almost sweet base but the way in which the notes combine is nothing short of magical and somewhat surprising to me. Hollister is not a brand I tend to veer towards, it being aimed at an audience much younger than I. The grapefruit isn't as tart as I expected and is tempered by the yuzu which adds a slight sourness to the initial fragrance before this is counteracted by the sweetness of the vanilla essence within the tonka bean. The lavender does provide something of a floral interlude, but this stays as a light, young fragrance for well over eight hours. Fresh and ever so light on the nose this is one I could see myself wearing on a night out - the driftwood accord and musk are't overpowering placing this in the same category for lightness and freshness as CK One, Bvlgari Pour Homme and Tom Ford Grey Vetiver. As a recent covert to Jimmy Choo fragrances I had high hopes for Man Ice having just tried and tested Man Intense. I was not to be disappointed. While on first sprays you'll have a sensory overload of mandarin, the orange fragrance mixed with the tartness of the cedrat means that this retains it citrus vibe from the moment you spray for for hours afterwards. Perfect in my book, I do love a good citrus fragrance. It takes a good hour before the head notes even start to blend with my skin and alter, but to my surprise and given the heart and dry-down notes this never really loses the lightness on the nose. I'd expect warmth to come through after about an hour or two as the cedarwood, musk and amber came to the fore but nope, nada. This for me is again another aftershave that I would wear on a night out. Three sprays and you'll be smelling lovely for a good seven to eight hours and despite being light and citrus you can detect hints of apple and vetiver for a few hours. This one is very unique and is bound to draw attention for all the right reasons. Safari has been around for years, and I hadn't really given it much thought for, oh, about ten years until the box arrived. As soon as I sprayed it I realised why I've been avoiding it - the fragrance triggered such strong memories. With a floral head with just a touch of citrus you could be forgiven for thinking that like the other two samples this would again be light and airy but nooooooo, the citrus fades away quickly and it dries down to be incredibly warm on the nose - the amber is the overwhelming fragrance but it does something cheeky after about thirty minutes, it develops a kind of floral spiciness that I remembered well. This ranks up there as one of the most hardwearing aftershaves on the market in my opinion. Three sprays and you'll still be smelling this on your skin up to twenty hours later - yes, it's potent! Personally it's a little too warm for me to wear on a night out but this is perfect for wearing around the office. Once again, for £15 you can't sniff (well you can, but in a good way) at the value that Secret Scent Box delivers. It has opened my eyes (and nose) to two fragrances I would probably bypass on the shelf and brought quite a few memories back at the same time. If you like your aftershaves, or know someone who really does need to diversify their collection then this service is the best place to start. This is my third box from Secret Scent Box and for the third time I've been very happy, no, delighted with the contents.